Marvel fans rejoice! Today is the day it seems like the entirety of movie lovers on the internet have been waiting for as Marvel Studios has unveiled the official poster and, much more importantly, the first teaser trailer for what we now know to be called Avengers: Endgame. That's right. Avengers 4 has a title now! As it turns out, Doctor Strange revealed it to us near the end of Infinity War. So, in a way, we've known the title for some time, we just didn't know that we knew it. As fans will surely recall, after Doctor Strange, Tony Stark, Spider-Man and the Guardians lose their battle with Thanos on Titan, the good Doctor relinquishes the Time Stone to the Mad Titan in exchange for Tony's life. Strange, prior to that battle, had looked into several million futures with several million different outcomes, only one of which they succeeded in. Before turning into a pile of dust as a result of "The Decimation," aka Thanos' extremely deadly finger snap, Doctor Strange told Tony that they were in the "endgame." And thus, without us knowing it at the time, he revealed the title of Avengers 4. 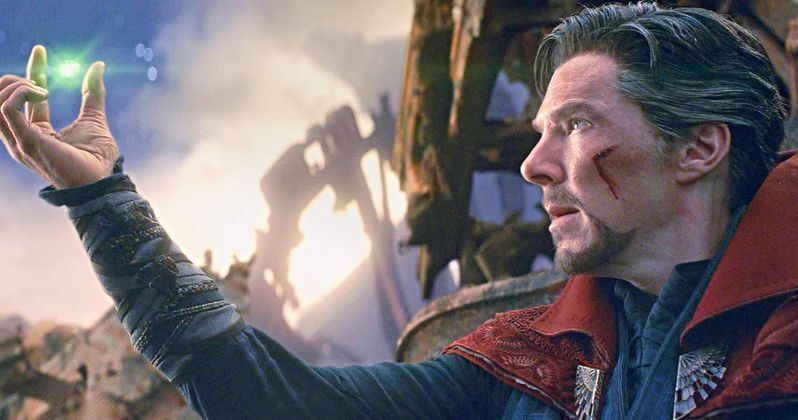 There was quite a bit of online speculation as to what the title would be ahead of time and, given the rantings of Stephen Strange on Titan, many had guessed that Avengers: Endgame would be the title. Turns out they were right. Much was made of the title ahead of time and the fact that Marvel didn't want to reveal it. But, ultimately, the title isn't all that Earth-shattering. Is it fitting? Certainly, but doesn't tell us much about what's in store for the remaining heroes as they try to undo the results of that snap and get even with Thanos. Even the trailer didn't reveal all that much, relatively speaking. We didn't see even the slightest sign of anyone who was turned to ash in Infinity War with the exception of Peter Parker's face on Bruce Banner's computer projection screen, making it clear that Marvel doesn't want to give anything away until the time is right. Tony Stark is lost floating through space on a ticking clock waiting to die until his oxygen runs out, thinking of his dear Pepper Potts. Captain America and Black Widow are back on Earth trying to figure out how to make things right and our old buddy Hawkeye is looking pretty rough, having assumed his new Ronin identity. We're guessing things didn't go so well for his family once Thanos snapped his big, purple fingers. Oh, and somehow, Ant-Man made it out of the Quantum Realm. For now, we fans have a lot more to chew on than we had yesterday. But really, there are far more questions than answers at this point. Luckily, we won't have to wait quite as long to have those questions answered, as the release date for what is probably the most highly-anticipated movie next year has been bumped up as well. Marvel will released Avengers: Endgame on April 26, 2019. Mark your calendars, because we are in the endgame now.